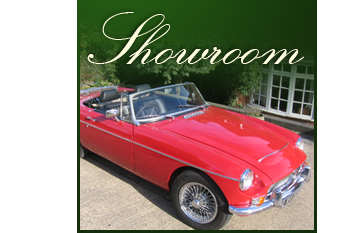 The MG was fitted with an uprated rebuilt MGB 1800cc engine which provides more than adequate performance. It has dark green leather trim and chrome wire wheels. The paintwork is of virtually concours quality, and the whole car has been detailed to an extremely high standard. There is an extensive file of documentation and service records, and it has remained in the same family ownership since restoration. If you are in the market for an MGA, please be sure to make an appointment to view this car. SOLD We are very pleased to offer this MGA which is a right hand drive car repatriated from South Africa about 20 years ago. It underwent a total professional restoration of the highest quality and has only covered 6000 miles since.